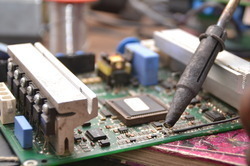 Our service range includes a wide range of bga reballing services, chip level repairing, smd rework chip level repairing, server repairing services, depot repair services and russian pcb repair. Component-Level Electronics Assembly Repair and SMT ,BGA rework. 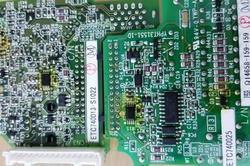 Star Automation is a Global service Provider/partner for Industrial Electronics,Telecom and medical PCB Repair, Refurbishments & Maintenance in the ability to repair virtually any electronic equipments or Printed Circuit Board (PCB)with an experience of 15 years. AC and DC Drive , Servo Drive, Servo Pack, Processor Board, I/O Card, CNC Machine Control card, PLC, LCD, HMI, HVAC, Building Automation System, Power Supply and SMPS, Inverter Welding machine (MIG/ITG), Plasma cutting, ,PLC’s, Temperature Controllers, Counters, Logic boards ,Test & measurements and many other specialized electronic boards too numerous to list. For more information about our repair service, or buy a new equipment, refurbished or service exchange part then please contact us . 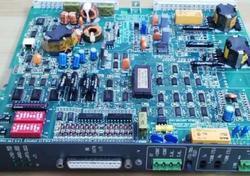 star automations provides complete solutions for the support and maintenance of Server Motherboard and high-value Network modules (PCBs) and Power supply modules. Ball Grid Array rework ,BGA Reballing Services ,Soldering & Desoldering , BGA repair including BGA,QFN, QFP, BTC QFNs, LGA,ceramic column grid array (CCGA) packages and PLCC components .Solder Balling,Solder Bumping, x-ray services and repair of damaged BGA pads and lands ,BGA Inspection , rework and reliability of high i/o cga assemblies. Single source Depot Repair Services provider of Comprehensive Electronics Repair Services, Field Maintenance Services and Distribution of Various Industries like Automotive, Aviation, Pharma, HVAC, Offshore, Chemical, Plastic, Packaging, Oil & Gas, Textiles, Food & Beverage, Marine, Railways etc. Today we represent more than 50 manufacturers of industrial automation equipment. We are proud to have earned the distinction of being a Indian Representative/ Factory Authorized Repair Centre and warranty management. Our mission is to help keep manufacturing industries running smoothly. Our experienced technicians use state of the art equipment to ensure the clients to get the quality repair which they deserve. 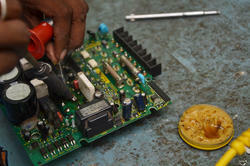 We help them to eliminate downtime and reduce operating costs while offering the best warranty service in the industry. 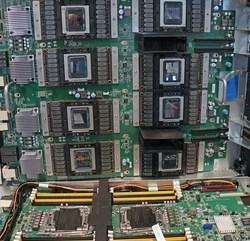 We work on most brands and specialize in the repair of older and obsolete / discontinued parts. 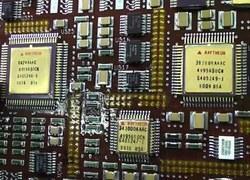 Russain aircraft generator control units, Russain Defense and Military LRUs & PCBs, electronic warfare (EW) systems ,airborne equipment , Communication modules, and high dependency equipment. 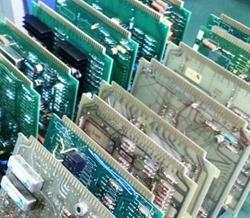 We are the experts in Modern PCB Test , diagnosis ,Repair & rework ,troubleshooting and fault analysis. star automations provides complete solutions for the support and maintenance of high value electronic Printed Circuit Boards (PCBs) and Control and Power Electronics in defense equipment . 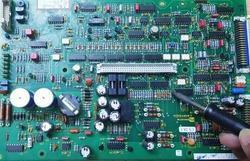 Star Automation is a Global service Provider/partner for Industrial Electronics, defence electronic, Aerospace , Aircraft ,Marine , IT,Telecom and medical printed circuit board repair(PCB Repair), Refurbishments & Maintenance in the ability to repair virtually any electronic equipments or Printed Circuit Board (PCB)with an experience of 15 years. 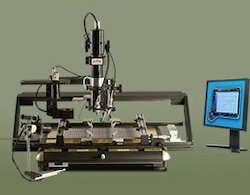 Star Automation specializes in repair,SMD rework, BGA rework, Test and Inspection of electronic circuit boards assemblies With Automatic Test Equipment (ICT) , Special test jig and complete Lab facility and RoHS compliant PCB repair service. AC drives, VFD , DC Drive , Servo Drive, Servo Pack, servo amplifiers,Processor Board, I/O Card, Power converter,Inverter ,CNC Machine Control card, PLC, LCD, HMI, HVAC, Building Automation System, Power Supply and SMPS, Inverter Welding machine ,Robotic controller, Plasma cutting, ,PLC’s, DCS card, Temperature Controllers, Counters, Logic boards ,Test & measurements and many other specialized electronic boards too numerous to list. Star Automation is a national/Global service Provider/partner for Industrial Electronics,IT,Telecom and medical PCB Repair, Refurbishments & Maintenance in the ability to repair virtually any electronic equipments or Printed Circuit Board (PCB)with an experience of 15 years. AC and DC Drive , Servo Drive, Servo Pack,servo amplifiers,inverter,converter, Processor Board, I/O Card, CNC Machine Control card, PLC, LCD, HMI,DCS, HVAC, Building Automation System,Embedded controller, Power Supply and SMPS, Inverter Welding machine ,Robotic controller,, Plasma cutting, ,PLC’s, Temperature Controllers, Counters, Logic boards ,Test & measurements and many other specialized electronic boards too numerous to list. 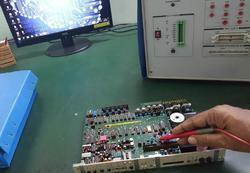 Star Automation is a national/Global service Provider/partner for Industrial Electronics,IT,Telecom, medical Military and Aerospace PCB Repair, Refurbishments & Maintenance in the ability to repair virtually any electronic equipments or Printed Circuit Board (PCB)with an experience of 15 years. AC and DC Drive , Servo Drive, Servo Pack, Processor Board, I/O Card, Network card, Optical fiber card, Mother boards, CNC Machine Control card, PLC, LCD, HMI, HVAC, Building Automation System, Power Supply and SMPS, Inverter Welding machine (MIG/ITG), Plasma cutting, ,PLC’s, Temperature Controllers, Counters, Logic boards ,Test & measurements and many other specialized electronic boards too numerous to list. Looking for Chip Level Repairing ?